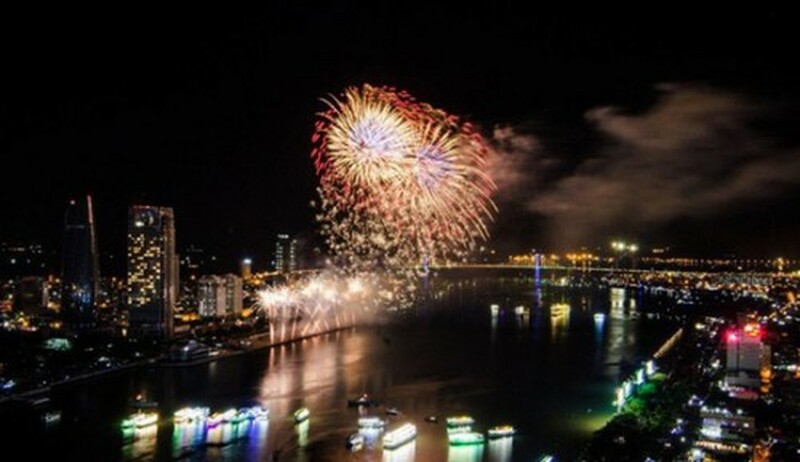 This is the biggest annually event of young people in Danang. Gathering in this square, enjoy drinks, beers, performances from skillful DJs and singers and waiting for the countdown with your friends is such a wonderful idea! That’s definitely a party with light and music. Cost: 1,960,000 vnd or around 90 usd per person (net price) including food, juice and soft drinks. 2,660,000 vnd or 115 usd per person (net price) including food, sparkling, wine, beers, juice and soft drinks. If you just want to join in the countdown party only @ Infinity Bar from 22.00pm to 1.00am, the cost is 1,190,000 vnd or 49 usd per person, including brunch, sparkling, wine, beers, juice and soft drinks. Cost from *1,488,000 vnd (around 65 usd) per person including food, soft drink, mineral water, tea or coffee. *2,088,000 vnd or 92 usd per person including food, soft drink, mineral water, tea or coffee and selected wine and beer. Half price for children from 6-12 years old and complimentary for children under 6. Starts from *1,988,000 vnd (around 87 usd) per person including food, soft drink, mineral water, tea and coffee. *2,688,000 vnd (around 116 usd) per person including food, soft drink, mineral water, tea or coffee and selected wine and beer.